We want to use certain macro fouling fauna as a coating barrier in order to isolate the target metal from the corrosive environment. 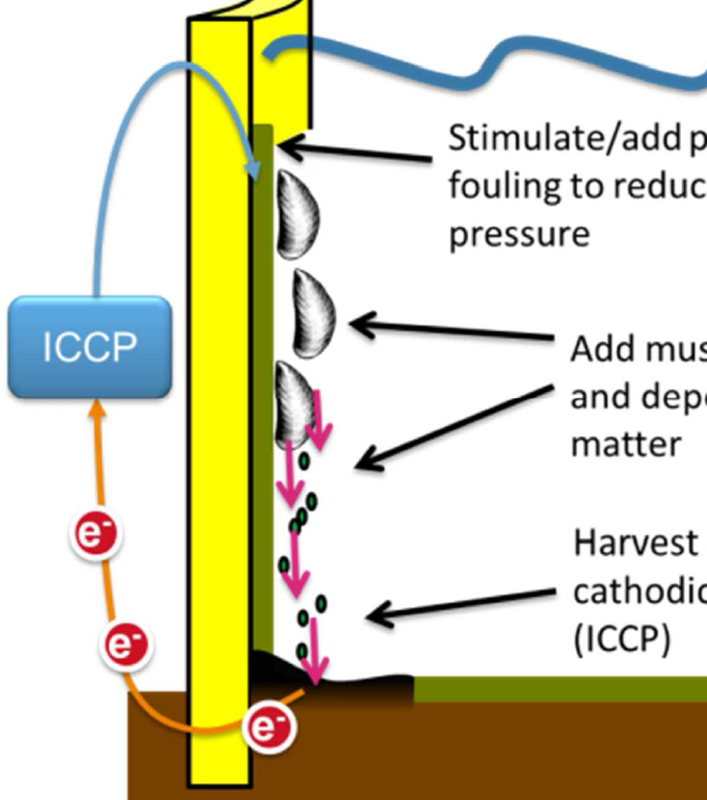 In addition to this, the use of mussels will serve as an organic collector system which will increase the organic content in the sediment so that microbial processes will create a sharp redox gradient from which electricity (bio-electricity) can be harvested for cathodic protection. After approval of the concept phase, a prototype of the technology will be tested in typical harbor environments. Main advantages of this idea are more “natural looking” harbor and offshore infrastructure in addition to the low cost of operation (practically self-sustained by natural processes). The possibilities are big, considering that low corrosion damage has been incidentally observed at places were certain biofoulers are present. On the other hand, bioelectricity generated by microbial processes (microbial fuel cells) is a relatively well-studied phenomenon. Bioelectricity might not be realistic for the extensive human consumption but might not be realistic for the extensive human consumption but might be just enough for cathodic protection purposes.